Firstly, wishing a very HAPPY INDEPENDENCE DAY to all the Americans around the world. It is indeed a proud moment for every American and I can completely feel their sentiment on this day. Each year,when any country celebrates their Independence day, I too celebrate and share the joy with them. Another reason, why I also celebrate is because, it reminds me of my”Phayul”(Fatherland in Tibetan language) and it sparks a ray of hope & optimism that, someday, Tibet too will celebrate Independence day and the world will share the joy. Anyway… for now.. here is a little home away from home that kept my festive spirit alive today. 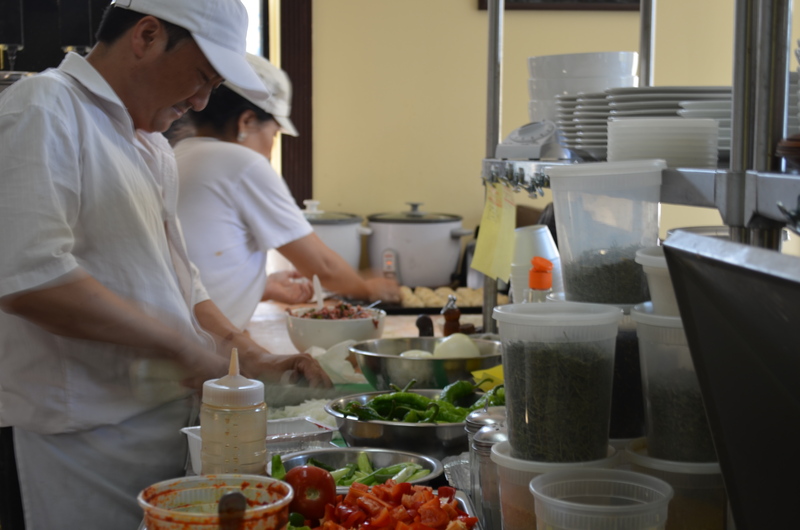 I paid a visit to “Phayul” restaurant in Jackson Heights, Queens NYC. 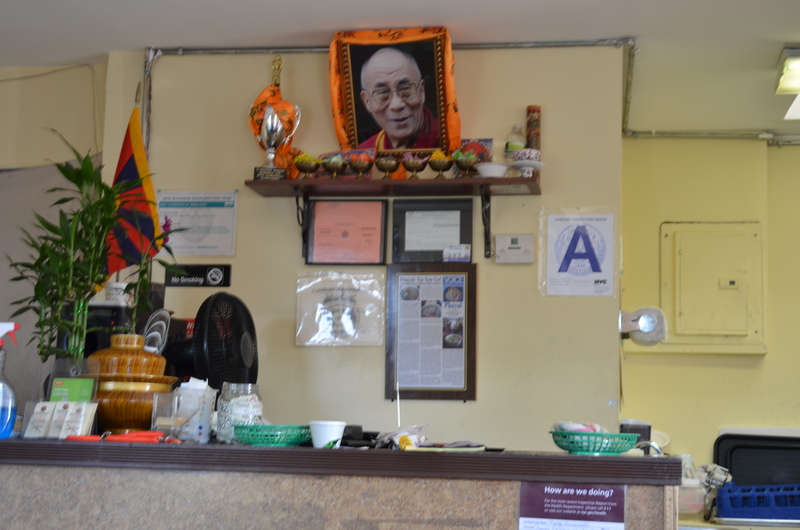 Among all the Tibetan restaurant that I have visited in Jackson height, This is the one that has won my vote in terms of authenticity, simplicity , budget friendly and above all a great staff whose smile is contagious. 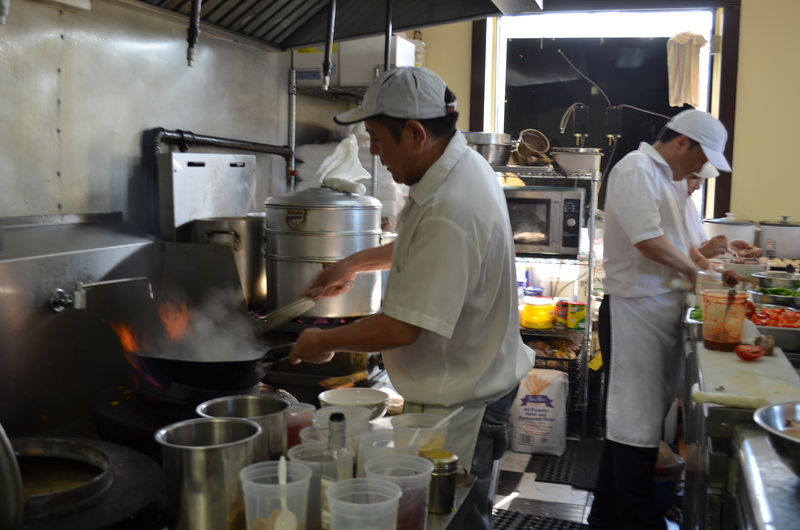 It has Also won the Best Tibetan restaurant award for 2011 from the Village Voice. 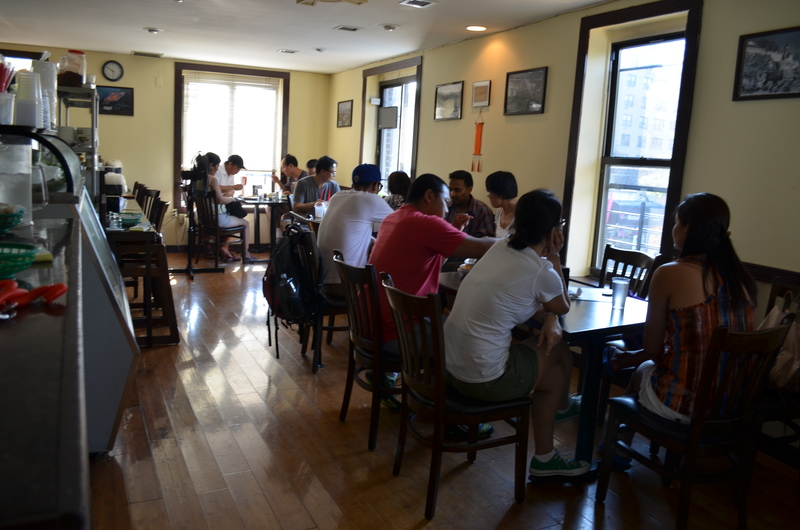 So.. if you want to not only taste the authentic Tibetan food but also enjoy the warm culture of Tibet. You know where to go now. Here are few links if you want to read more about this place. Below are few pictures I Captured today. 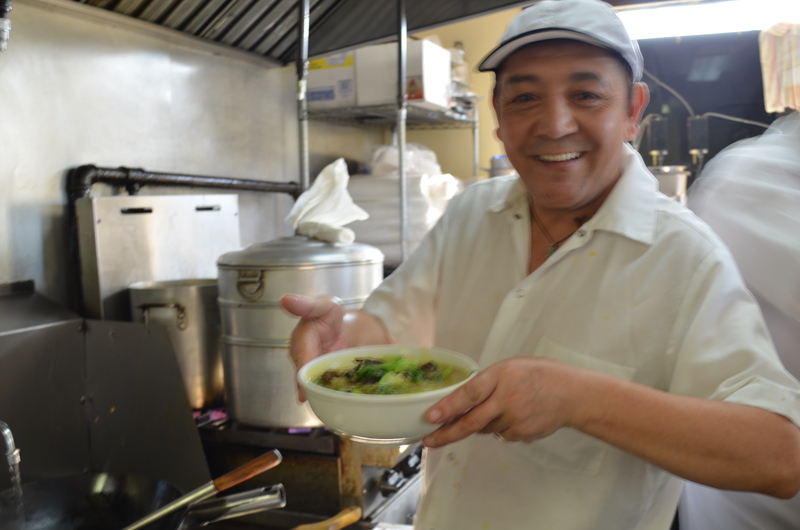 74-06 37th Rd Jackson Heights, NY 11372. 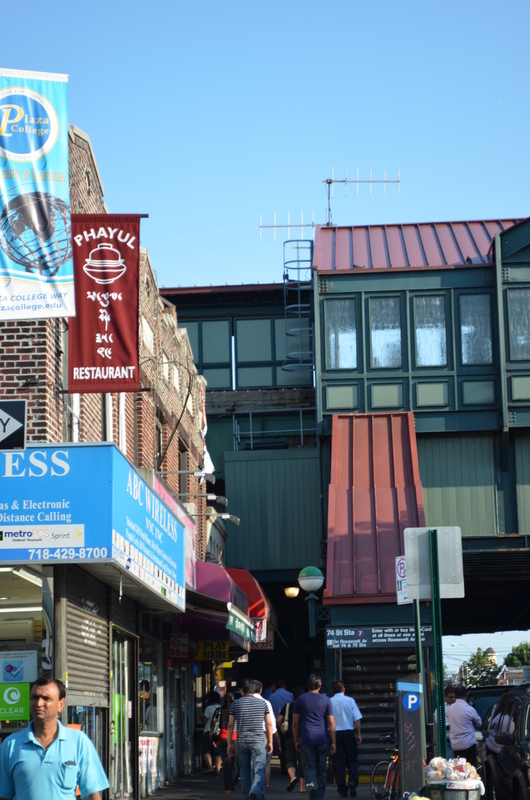 The nearest train station is 74st- Broadway ( 7 train) or the E, F, M, R to Jackson Height. This is the counter which is on the left side as soon as you walk in. It’s not surprising to see the “A” grade from NYC Dept of Health and mental hygiene. 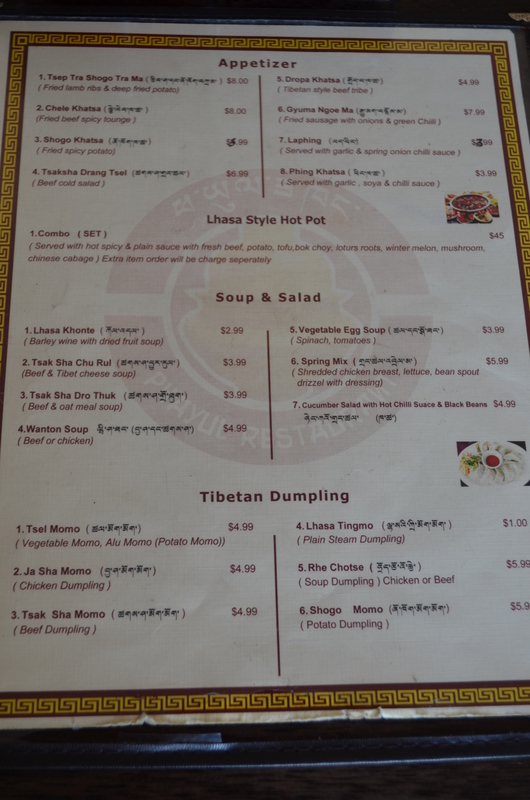 Except for the Lhasa style Hot pot($45) everything on the menu is below $10.This is only the front part of the menu. I forgot to take a picture of t he back part. There are more dishes. Still a novice when it comes to photography. Master chef Tashi la was kind enough to not only to allow me inside the kitchen but also took time out to pose for a picture from his busy schedule. 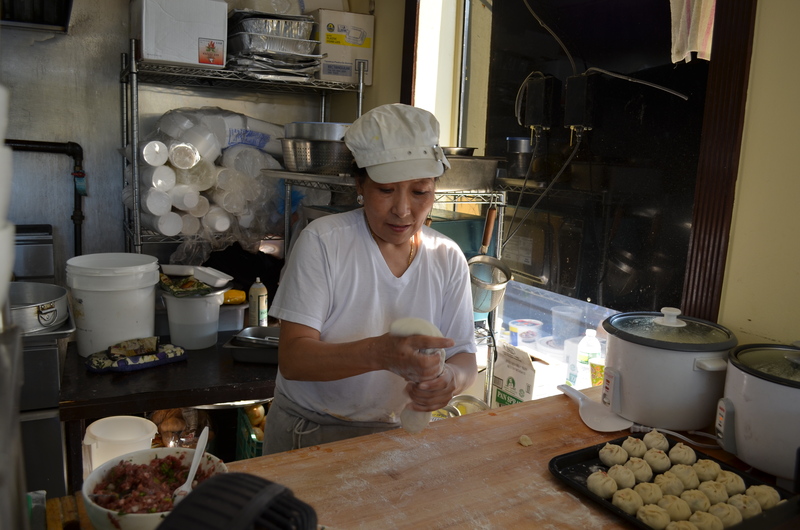 Everything you order here is freshly made , even the dumplings are handmade right in front of you. No wonder they taste so good. Preparing the dough for the dumplings. A meal for two. 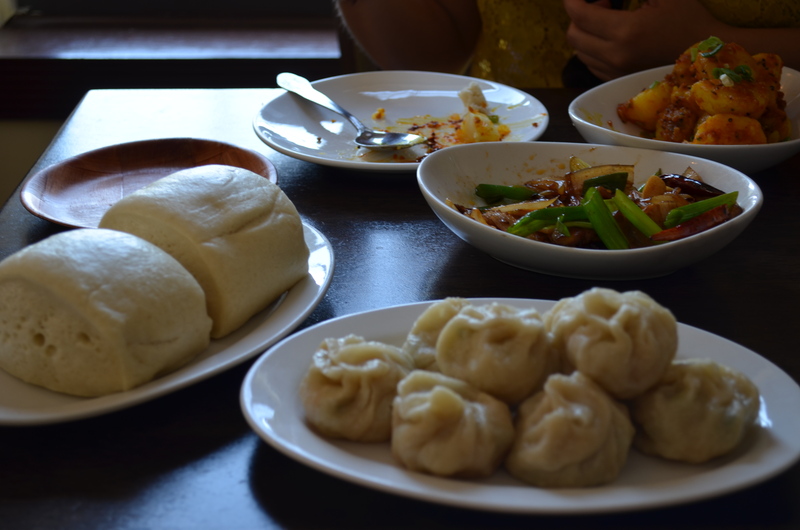 We had 3 Tingmo( plain steamed dumpling) , 1 Shogo Khatsa , 1 Tsel Momo , 1 non veg dish( friend pork slices with onion and green & red pepper) 1 Butter tea(TIBETAN TEA. MUST TRY) and 1 Ginger ale. The total bill was for $24. ← What’s your Facebook Status? 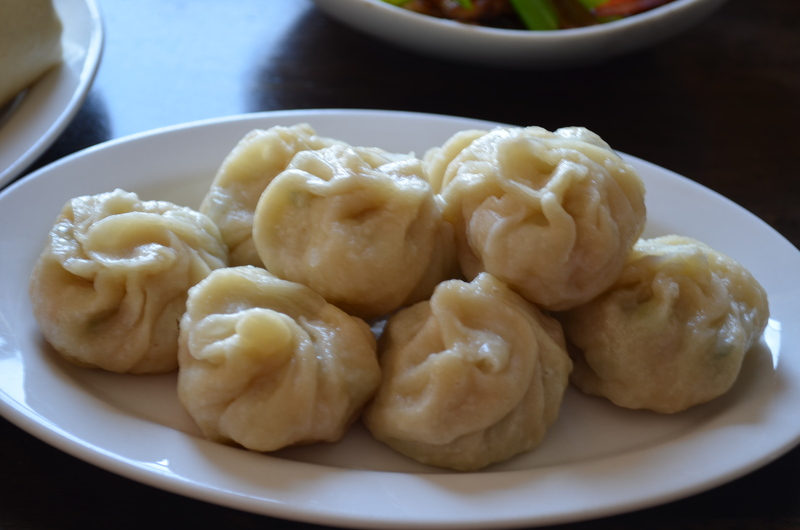 Mmm, looks good…especially those dumplings! I don’t often (ever?) 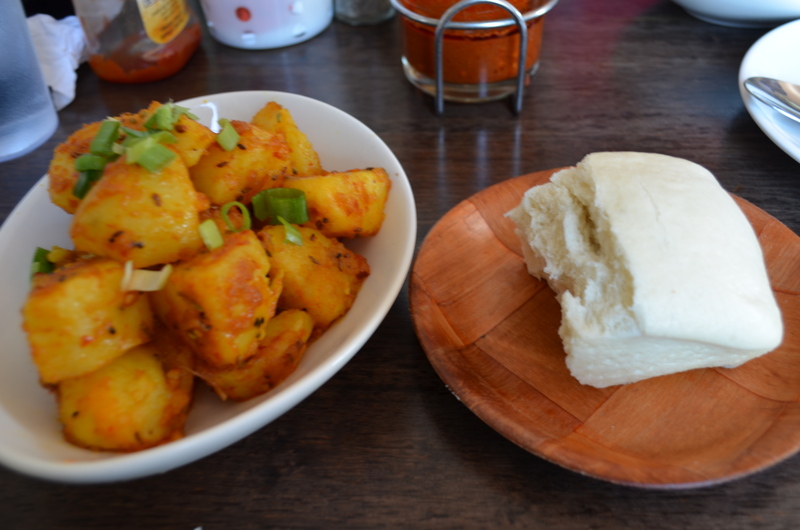 Tibetan food–will definitely need to give this a try sometime. Thanks for the rec!